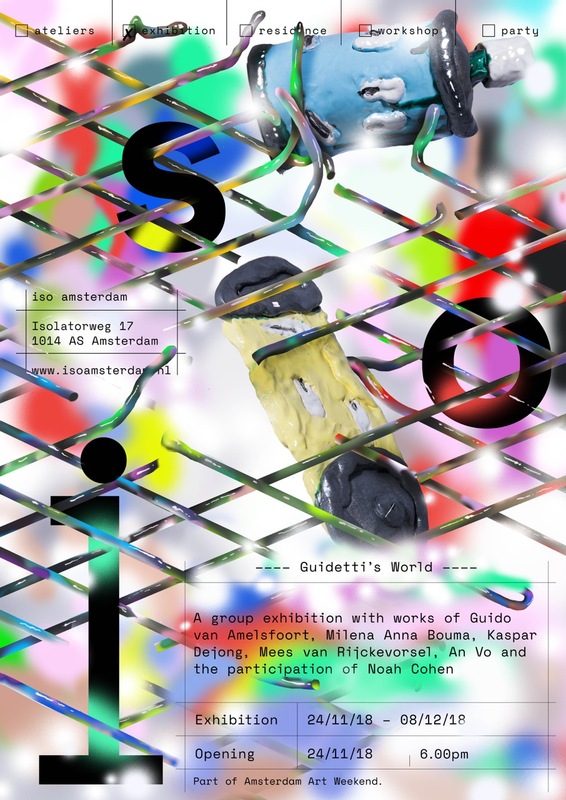 On the occasion of Amsterdam Art Weekend, ISO Amsterdam invites Guido van Amelsfoort (NL-1986), Milena Anna Bouma (NL-1994), Kaspar Dejong (NL-1995), Mees van Rijckevorsel (NL-1990), An Vo (NL-1987) with the participation of Noah Cohen (FR-1995), to make Guidetti’s World turn. A world shaped with ceramics, paintings, drawings, collages, sculptures, installations, video, music, performance and spoken word. They all share humor and street culture, oscillating between poetry and iconoclasm. Guido van Amelsfoort presents his world made of iron and clay. As a teenager, his interest in art was sparked by graffiti he encountered, he began painting and writing on trains and abandoned buildings. During his studies in Breda, van Amelsfoort starts working in ceramics after he saw an exhibition of Ron Nagle. While his pieces still have the rawness of street culture, they’re full of poetry. Mees van Rijckevorsel is graduated from the architecture department of Rietveld Academie in 2015. After his internships at RAAAF and inside outside, two famous landscape architecture offices, he is now working as a city planner for the municipality. After work, Mees needs to get scale models and millimetre business out his mind. He dives into his own illustrative abstract world of oil pastels and scrapers. By doing it the hard way, using unconventional scrapers like steel or hand-made brushes, Mees is able to discover the large potentiality of scraping. Kaspar Dejong is graduated from Willem de Kooning Academy in Rotterdam. His practice consists of paintings, drawings and sculptures, referring to imagery featuring elements from public space. Dejong strips them of their present function and deconstructs them up to the moment in which their original function is disrupted. 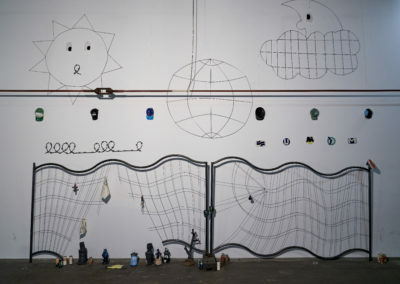 In that way, Dejong aims to confront the viewer with the so-called herd reflex of people, by creating a confrontation with a transformed version of reality. Whereas Milena Anna Bouma’s work refers to the domestic space, her works rather focus on the hybridity or aliveness of quotidian materials- and objects. A hybrid object is, according to her, an object that is not able to carry only one subject or identity. If objects resemble actions usually performed by living matter, where does this place the human body? If an iron table is a skeleton, what could be the flesh? And the other way around, if dogs are animals living in the domestic space, how do they differ from furniture? Where the slimey meets the rubbery and the colourful meets the shiny, Bouma parallels an objects usual function with its alteration to the status of art. Where an uncanny notion appears in the familiar, Bouma shows absurd alternatives of situations that usually happen in the background of daily life. She is freshly graduated from Rietveld Academie. 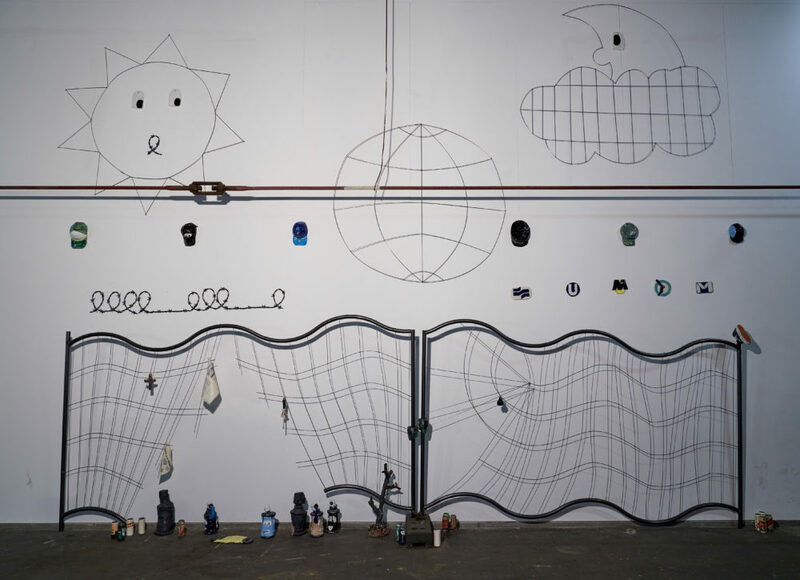 Noah Cohen is a video artist and sculptor graduated from the erg (école de recherche graphique) in Brussels. His interactive video installations aim to reach a mental state of complete absorption, a hyper focus that results to the loss in one’s sense of space and time. An Vo is the oracle of the temple. Born between east and west, he eats both. Find him where he is alive.